Vendors with no physical presence in the state may be required to collect and remit New York State and local sales tax…are you? After almost seven months of silence following the Supreme Court’s decision in South Dakota v. Wayfair Inc., taxpayers were finally given an answer to the question of how the state of New York would respond. On January 15, 2019, the New York State Department of Taxation and Finance announced that effective immediately, vendors with no physical presence in the state are required to collect and remit New York State and local sales tax if the specified economic thresholds are met. How Does New York State Define a Vendor? For New York State sales tax purposes, a vendor is defined as a person who regularly or systematically solicits business in the state, and as a result, makes taxable sales of tangible personal property or services into New York. One is deemed to be regularly or systematically soliciting business in New York if, for the four most recent sales tax quarters, gross receipts from the sale of property delivered into the state exceed $300,000 and more than 100 sales of tangible personal property were made into the state. 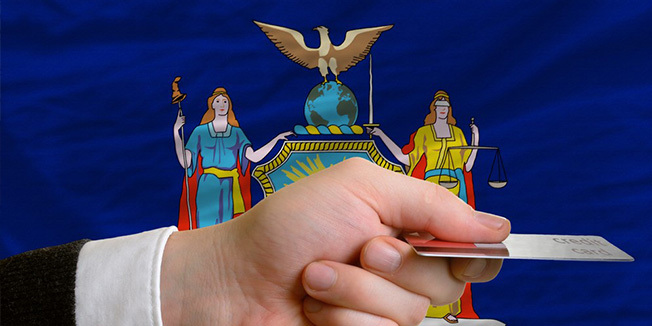 Therefore, a business with no physical presence in New York is now required to register with the state for sales tax purposes if they are making taxable sales into the state and meet both the sales and transaction thresholds. 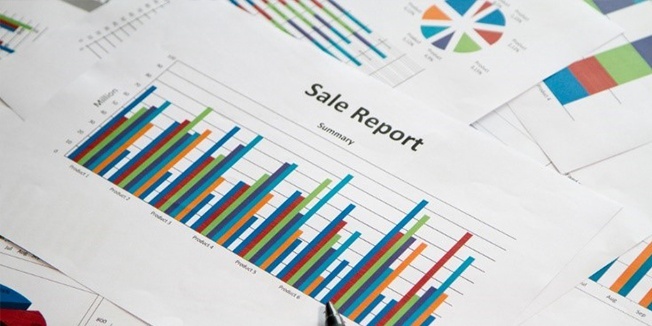 Each state has its own rules on what sales are included, as well as what look-back period should be used when tracking your in-state sales and transactions for their economic nexus thresholds. For New York, all sales of tangible personal property delivered in the state, including both taxable and non-taxable sales, are counted towards the $300,000 and 100 transaction thresholds. For the look-back period, New York will be using the preceding four sales tax quarters. The New York sales tax quarters are March 1st through May 31st, June 1st through August 31st, September 1st through November 30th, and December 1st through February 28th or 29th. This means that for the purpose of tracking sales and transactions to see if the economic nexus thresholds are met, businesses will need to reevaluate their sales tax nexus in New York State on a quarterly basis. Once the thresholds are met, the business is required to register with the state as a vendor and begin collecting and remitting sales tax. An important distinction regarding New York’s economic nexus thresholds is the fact that both thresholds must be met in order for a remote seller to be deemed to have sales tax nexus in the state. This differs from the majority of other states, who generally consider an out of state seller to have sales tax nexus if just one of their economic nexus thresholds are met. There is also the issue of what is or is not taxable when looking at local sales tax in New York State. For example, New York State offers an exemption from sales tax on the sale of clothing or footwear sold for less than $110 per item. This exemption, however, is optional at the locality level, with only ten localities following the state and exempting these items. The remaining localities require the collection of sales tax on these items, each at its own specified tax rate. If a business only sells clothing that falls under this exemption, they could potentially have no taxable sales into New York State, and therefore, not be required to collect and remit New York State sales tax. But what if those sales are into localities that do not provide the exemption? Does the business still have an obligation to collect and remit to those localities? Are they exempt from collecting and remitting sales tax to the localities if they do not have a New York State collection and remittance requirement? New York is yet to address complexities such as this, leaving some businesses unsure of their sales tax obligations in the state for the time being. Tax Director Don Warrant discusses Wayfair as a major tax compliance issue for certain businesses. Listen here. 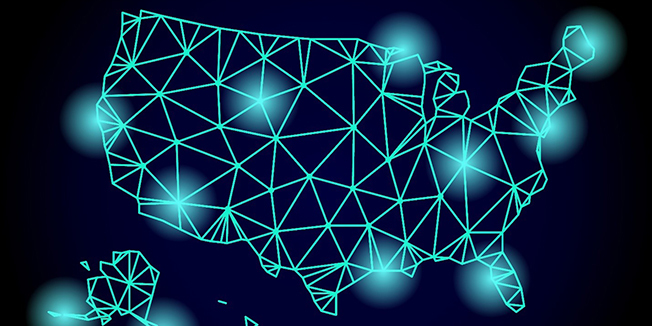 Following New York’s announcement, there are now only eight states that have not enacted economic nexus thresholds in light of the Wayfair decision. Under these economic nexus rules, remote sellers of tangible personal property and taxable services now have the potential to be subject to sales tax collection and reporting requirements in dozens of states that they were previously exempt from due to a lack of physical presence. Understanding the rules and requirements of each state without professional guidance can be a daunting task for a business, however, the importance of compliance cannot be overlooked as there can be harsh penalties for noncompliance. Connect with us by clicking on the button or call the SALT team at Freed Maxick CPAs, P.C. at 716-847-2651 to discuss how we can help guide your business through all these sales tax changes following the Wayfair sales tax case decision. By now, you have probably heard about South Dakota v. Wayfair (2018) - the U.S. Supreme Court decision to overturn the physical presence standard set by Quill v. North Dakota (1992) earlier this year. In a short period of time, there have been numerous state reactions that will undoubtedly affect your sales tax liability in an adverse way. Many state provisions became effective in the last few months of 2018, many more become effective in early 2019, meaning that remote sellers are running out of time to begin compliance. Depending on the jurisdiction, substantial noncompliance penalties can be imposed, and if you have not made it a priority to address these issues, revenue-hungry states will be sure to pursue these tax dollars. Every remote seller should consider the following questions with respect to the new era of sales tax nexus and how they might impact your business. Remote Seller Sales Tax Question #1: Are we currently collecting and remitting sales tax in all applicable states? The new economic nexus standards are not retroactive – but that is not to say that a business is exempt from their sales tax remittance obligation in states where a filing was previously required. If you have physical presence in a state in which you have not filed in the past, it is advisable to begin doing so. Many states offer voluntary disclosure programs that can be advantageous in avoiding costly penalties for prior noncompliance. Remote Seller Sales Tax Question #2: Are we currently collecting exemption certificates from customers? While not every business is required to pay sales tax, they are required to support an exempt status. If you don’t collect sales tax from a buyer without a proper exemption certificate, odds are you will be held liable. You don’t need an exemption certificate every time you do business with the same buyer, and many states accept a uniform certificate. It’s important to communicate with your customers that tax will be collected without proper documentation of exemption so that you don’t find yourself paying their tax. Remote Seller Sales Tax Question #3: Do we know how each state treats our products or services? Keep in mind that most states have varying definitions of taxable sales. A business product or service can be exempt from sales tax in one jurisdiction and taxable in another. For example, in some states clothing is a taxable item, in others only clothing items over a certain dollar amount are subject to sales tax, and some exempt clothing altogether from sales tax. Further complicating this matter is that states may define clothing differently. Thorough analysis should be done for every state that you are doing business in. Remote Seller Sales Tax Question #4: Are we required to register and file in new states and if so, will that create an income tax filing requirement? In order to collect and remit sales tax in a state, a business needs to be registered with the state’s Department of Revenue. Remote businesses should consider that as they register in new states, this action will likely draw attention from the state revenue departments with respect to income and franchise taxes. A determination will need to be made if being registered for sales tax purposes constitutes “doing business” in each state and what additional filings may be required. Remote Seller Sales Tax Question #5: Are changes needed in the people/processes/systems/software to comply? Even if you have established where you should file, are you equipped with the resources to do so? It can be time-consuming and burdensome, especially for businesses with a large economic footprint to comply with numerous filings considering most states impose a quarterly or monthly remittance. Sales tax software is useful, however you will want to ensure that you select the right package that fits your business to avoid incurring unnecessary charges. Additionally, you’ll need properly trained personnel to implement and use the software. Remote Seller Sales Tax Question #6: Are changes needed to our billing procedures? Consider new states you will be filing in. Are you making both taxable and non-taxable sales to the same customer? Itemizing invoices is vital so that you are only collecting sales tax on taxable items and services. Keep this is mind as you are shopping for software – some might be able to streamline this process. Remote Seller Sales Tax Question #7: Are changes needed in our marketing materials or customer contracts? Your customers may be surprised to see an increase on their bills due to sales tax if it was not previously collected. It is imperative that these changes are clearly communicated with new and existing customers. With larger vendor contracts, the dollar impact on the customer can be substantial, and contracts should be amended to reflect that sales tax will be applied if necessary. Remote Seller Sales Tax Question #8: Are we tracking changes in state sales tax laws as they occur? Keeping up with various state tax law changes in every state is an onerous task. Sales tax rates can change from year to year, sales tax holidays are introduced periodically, and even the taxability of an item can change. If your business is active in many states, it may be necessary to outsource this task or employee someone that is dedicated to sales tax compliance year-round. With nearly all fifty states pursuing increasingly aggressive sales tax collection practices and Congress yet to fully weigh-in on the matter, we understand it can be difficult to monitor these ongoing changes internally. It can be just as difficult a task to address these eight points without professional guidance. Connect with our state and local tax services team by clicking on the button or call Freed Maxick CPAs, P.C. at 716-847-2651 to discuss how we can help guide your business through all these sales tax changes. Sales Tax Compliance – What, Me Worry? The Supreme Court’s decision in South Dakota v. Wayfair (Wayfair) expanded the ability of states to require out-of-state retailers to collect and remit sales taxes on transactions in jurisdictions where the seller has no physical presence. In short, the court held that a state law requiring out-of-state sellers to collect and remit taxes based on an “economic nexus” with the state did not automatically violate the U.S. Constitution’s Commerce Clause. A safe harbor threshold that limited the application of the law to sellers with more than just “limited business” in the state. In South Dakota’s case, the law does not require the seller to collect and remit taxes if it has less than $100,000 or 200 transactions in the state during the previous or current calendar year. A prohibition against retroactive enforcement. Access to sales tax administration software provided by the state. Many states already had economic nexus statutes on the books before the Wayfair decision, and a host of others have worked to enact similar laws since the Supreme Court’s ruling. The terms of these laws can vary significantly from South Dakota’s. Because the factors listed by the court are only guidelines on what the justices believe would pass Constitutional muster, there is still considerable uncertainty over what requirements might be found unconstitutional if challenged. With so many details still up in the air on this topic, many businesses are struggling to figure out how to comply with current requirements and adapt quickly to new rules as they are enacted. The following nine steps can help any business that sells products or services into multiple states meet current state tax obligations and manage changes effectively. Determine where, what, and to whom you sell. The reason for the “where” determination is fairly obvious, but keep in mind you should be tracking not just the destination state, but also local jurisdictions that may have additional sales tax requirements. Your system needs to know “what” you are selling in each jurisdiction because sales tax rates can vary from product to product, or may not be subject to tax at all. You need to track your customer information in order to know if a buyer qualifies for a sales tax exemption. Determine your activities that create physical and economic nexus. Remember, the Wayfair decision didn’t do away with previous sales tax laws based on physical nexus. Your system needs to allow for the possibility that either standard could trigger a collection requirement in a jurisdiction. Review the most recent 12-month period and prior year sales in each state. The first item in this list is designed to give you a current snapshot of your activities that may trigger economic nexus. A look back at recent periods is also required to make sure that you haven’t missed an obligation based on previous transactions. Determine the taxability of your products and services in each state. Once you know what you sell and where you sell it, you need to understand how each jurisdiction taxes your product. Monitor economic nexus. You need some type of system in place to track both the dollar volume of sales and number of transactions in each state where you sell. Even though sales tax collection obligations may not attach until you cross a threshold, you need to monitor the data from the start in order to know when your activity triggers economic nexus. Monitor changes in state sales and use tax laws. Many states are scrambling to enact or modify laws to align themselves with South Dakota’s requirements. Work closely with your tax advisor and any sales tax software provider to make sure you are aware of any changes in requirements that affect your obligations. Determine whether reporting requirements apply. Penalties for failure to comply with sales tax collection requirements can be significant. You need to know what rules apply before you bill your customer because the state will look to collect the amount from you even if you failed to collect it from the buyer. 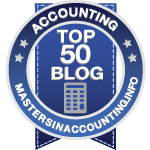 Review your marketing, selling, billing, and tax collection and payment practices. You need to look at the whole process from soup to nuts in order to confirm that you’re giving your buyers the correct information about what taxes apply and that you’re collecting and remitting them to the proper authorities. Evaluate your sales tax exemption certification process. Your business may not have paid close attention to exemptions in the past when you had no physical nexus in a jurisdiction. With more states looking to collect taxes based on economic nexus, you will need to be more vigilant in monitoring customers that claim an exemption. That includes tracking when exemption certificates you have on file may expire. It may seem like a daunting challenge at the start, but careful planning and implementation of a Wayfair-compliant sales tax system can give your business the ability to monitor and adapt to changes more effectively for years to come. Our state and local tax services team can help you with a review of your situation and a discussion of how best to comply with each state’s requirements. Call us at 716.847.2651 to discuss your situation or request a situation review here. Since the U.S. Supreme Court ruling on June 21, 2018 that overturned the physical presence standard, most states have rushed to impose an economic nexus standard for remote sellers who meet a dollar or transaction threshold for sales made in the state. This means a seller who has not had a physical presence in a state may have to start registering, collecting and remitting sales tax if it meets the threshold in that state. However, about a quarter of the states have established notice and reporting requirements that remote sellers may be subject to if they are not required to collect and remit sales tax in those states. Colorado was the first state to enforce use tax notice and reporting requirements for non-collecting retailers on July 1, 2017, in an effort to work around physical nexus standards and ensure buyers pay use tax when a seller does not collect sales tax. Now that states are adopting economic nexus standards, more states are likely to impose use tax reporting requirements on sellers who do not collect sales tax in their state. What is “Notice and Report” for Sales Tax and Who Does it Affect? In general, a State notice and reporting law requires remote retailers that do not collect sales tax to complete an onerous reporting requirement, which many states believe will lead these retailers to elect to remit sales tax instead. Deliver an annual notice to the state with information about their customers’ purchases including name, address, date and amount of purchase. States that have notice and reporting requirements include Alabama, Colorado, Connecticut, Georgia, Iowa, Kentucky, Louisiana, Oklahoma, Pennsylvania, Rhode Island, South Dakota, Tennessee, Vermont, and Washington. Pennsylvania, Rhode Island, and Washington, as examples, have adopted detailed notice and reporting requirements with the alternative option of electing to register and collect sales tax under economic nexus provisions. In other words, remote sellers who meet the states thresholds must elect to either register, collect, and remit sales tax, or comply with notice and reporting requirements. There are also penalties for failure to comply with the requirements in some states. In Pennsylvania, for example, each failure to comply may result in a penalty of $20,000 per violation, per year, or 20 percent of total Pennsylvania sales during the previous 12 months, whichever is less. These remote seller use tax notice and reporting requirements are very detailed and require extensive record keeping by the retailer, which may be a strategy to encourage remote sellers to elect to collect and remit sales tax instead. Remotes sellers will have to decide whether it is worth the time, cost, and effort to keep up with notice and reporting requirements, or if it is easier to register, collect, and remit sales tax in a state. Our state and local tax services team can help you with a review of your situation and a discussion of which route is best for your business considering each state’s requirements, and the costs and benefit or reporting versus remitting. Call us at 716.847.2651 to discuss your situation. or request a situation review by clicking on the button. The recent Wayfair decision has sent states and businesses alike scrambling to make sense of what taxes are owed in which jurisdictions. Many business owners and officers may be tempted to backburner the issue. After all, you have enough other fires to put out. You’ll get to sales tax compliance when you get to it. Not so fast. Remember that sales tax, much like employment tax, is considered a “trust fund” transaction. Sales tax isn’t additional revenue that is billed to your customer. Rather, it’s money that you are deemed to hold as a trustee of the state. You are responsible for collecting and remitting the appropriate sales tax. If you fail to do either, it’s not just the company’s assets on the line. “Responsible Persons” can be held personally liable for any unpaid liability. Who is Responsible for Charging and Collecting Sales Tax? Most businesses don’t run into problems by failing to remit the sales tax they collected. The greatest risk arises from failing to charge and collect sales tax on taxable transactions. In the event of a sales tax audit, the company could be assessed the amount of sales tax that it should have collected and remitted, plus penalties and interest. But because of the trustee relationship, that liability could extend to responsible persons. Who are they? If the business has the money to settle the sales tax liability, the responsible persons can breathe a sigh of relief. If the business is unable or unwilling to pay, the responsible persons can be held liable. Generally, your directors and officer’s policy will not protect you against this type of omission, so don’t think of that as your fail safe. There is still a lot of uncertainty about the long-term effects of Wayfair. Will there be a uniform minimum threshold on either dollar volume or transaction volume? Will there be small business exceptions? As we wait to see how questions like these are resolved, we recommend starting at the basics: what states are you currently registered in? Are you selling into any states where you are unregistered? What products or services are you selling? Do you have employees or contractors in states other than your home state? 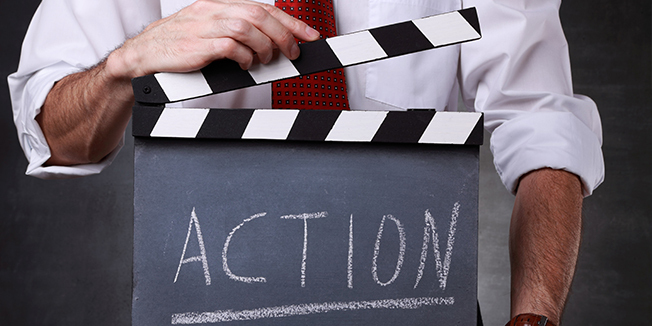 Taking stock of your current selling practices is the best first step. The sales tax experts at Freed Maxick work with hundreds of US and Canadian companies to help them understand and comply with state and local sales tax requirements. All our experts agree that after the Wayfair decision, sales taxation will become an increasingly complex endeavor. If you need help understanding how the Wayfair decision affects the sales tax compliance of your business, please contact us here or call the Freed Maxick Tax Team at 716.847.2651 to discuss your situation. Before June 2018, Canadian companies could avoid having to comply with U.S. sales tax laws by not establishing a physical presence in any state or municipality within the U.S. However, that changed on June 21, 2018 when the U.S. Supreme Court in South Dakota v. Wayfair, eliminated the “physical presence” barrier that prevented states from enforcing their sales tax laws on remote sellers. As a result, states can now require remote sellers to comply with their state and local sales tax laws based on economic presence. Therefore, Canadian companies are no longer shielded from complying with sales tax laws by avoiding establishing a physical presence within any state. Instead, Canadian companies now need to determine if they have established an economic presence in any state and if so, may need to comply with the sales tax laws in those states. A series of U.S. Supreme Court cases (most notably Quill Corp. v. North Dakota) established that a remote seller must establish a physical presence within a state before the state and local governments can impose its sales tax laws on the remote seller. Physical presence is generally established by having in-state employees or agents, or owning or leasing property within the state. All states with sales tax laws continue to require compliance with their sales tax laws when physical presence exists. South Dakota (SD) passed legislation in April of 2016 requiring remote sellers to collect SD sales tax when annual gross revenue from SD customers exceeded $100,000 or when remote sellers completed more than 200 transactions with SD customers. Wayfair challenged the law and since the law’s requirements weren’t based on physical presence, SD lost at each level of appeals. 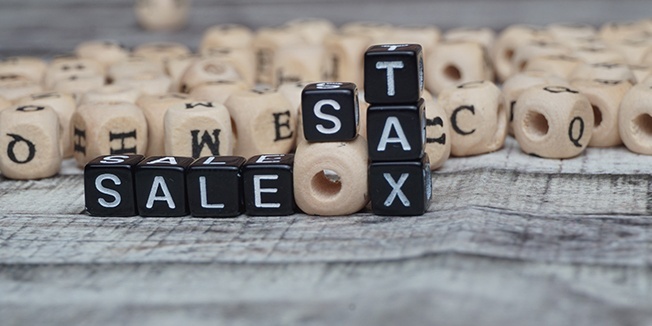 Ultimately, the U.S. Supreme Court determined that physical presence was no longer a requirement to establish nexus (i.e., minimum connection with a state) for sales tax purposes. Instead, nexus can be established based on gross sales to in-state customers or the number of transaction with in-state customers. In addition, the U.S. Supreme Court determined that SD’s sales tax laws did not impose undue burden on interstate commerce. We covered the Wayfair decision in more detail in our blog post, State Sales Tax Nexus Without Quill. Many states have adopted, or are in the process of adopting sales tax laws that are similar to SD thinking that the U.S. Supreme Court approved SD’s sales tax laws. However, there are other features to SD’s sales tax laws that are unique and may not be present in the laws of other states. Therefore, it is uncertain whether the sales tax laws being adopted by other states in reaction to Wayfair will place an undue burden on interstate commerce or whether such laws will create substantial nexus allowing the state to impose its sales tax laws on remote sellers. States are not bound by tax treaties and such treaties do not apply to non-income based taxes such as sales tax, gross receipts tax, and net worth or capital based taxes. Therefore, the U.S. Supreme Court decision in Wayfair extends beyond sales tax, potentially exposing Canadian companies to other state taxes as well. Congress may finally need to act to alleviate the burden being placed on remote sellers who must now comply with numerous state and local taxing jurisdictions and state-by-state determination of how goods and services are taxed. Canadian companies should maintain a sales tax matrix of every product or service they sell, where the product or service is received by the customer, and whether the product or service is subject to state or local sales tax. The matrix should include both the gross sales and number of transactions in each state and local taxing jurisdiction to determine whether economic nexus is present or could occur in the future. This analysis will help to plan on a state-by-state basis to minimize the burden of sales tax compliance. Sales tax compliance software may be needed to alleviate this burden. Since all states with sales tax laws continue to require compliance with their sales tax laws when physical presence exists, Canadian companies should determine whether they currently have established physical presence in any state and if so, the amount of their sales tax liability for prior years. State voluntary disclosure programs may prove beneficial and should be considered when sales tax liability exists for prior years. If sales are exempt, then it may be necessary to begin collecting exemption forms from customers. For example, sales to tax exempt organizations, governmental entities, and sales for resale are generally treated as exempt sales. In advance of collecting exemption forms, states may require registration with the taxing jurisdiction. 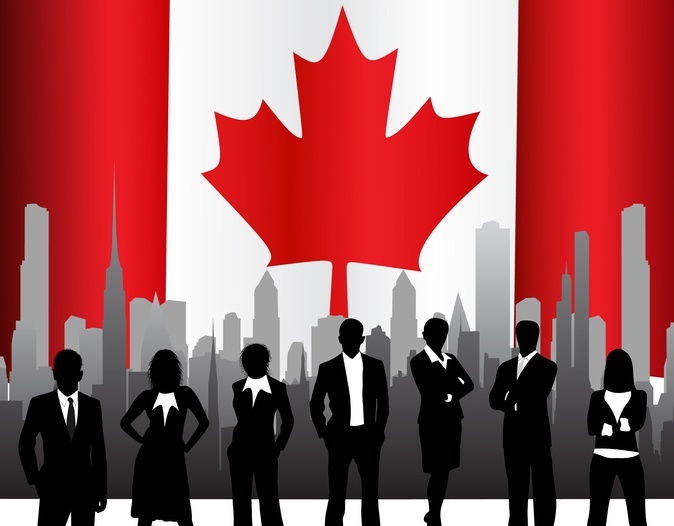 With our proximity to Canada, we have worked with hundreds of Canadian companies facing a myriad of U.S. tax issues including state and local tax planning and compliance. If you would like to discuss your situation or address any questions you may have, please contact us here or call the Freed Maxick Tax Team at 716.847.2651 to discuss your situation.